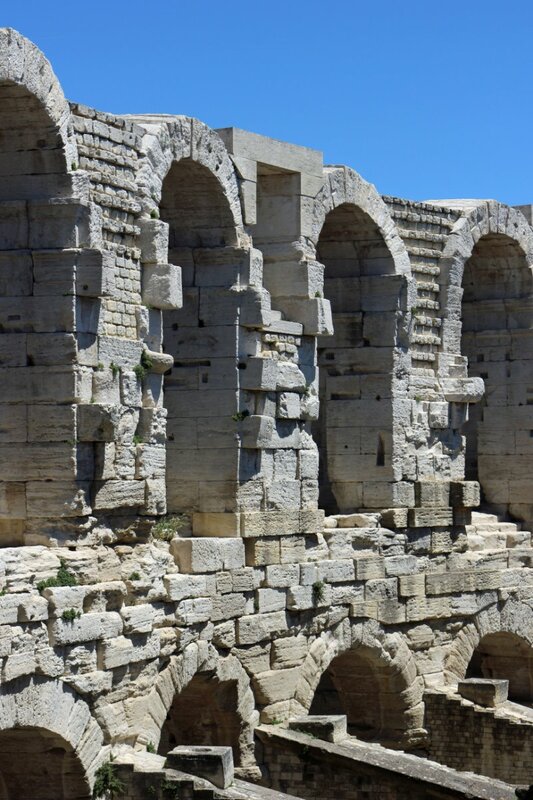 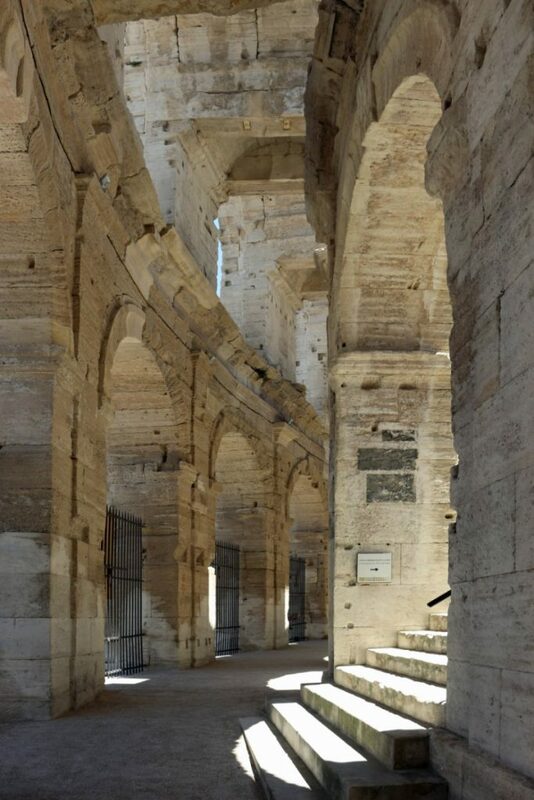 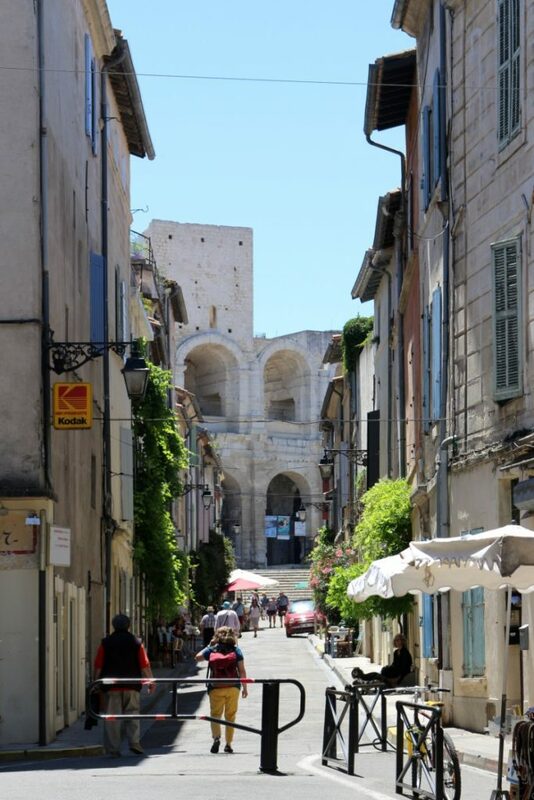 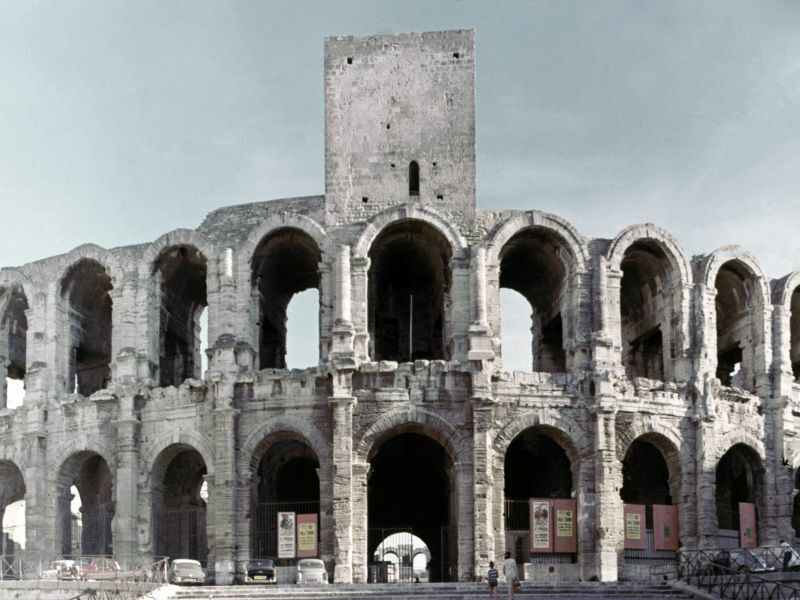 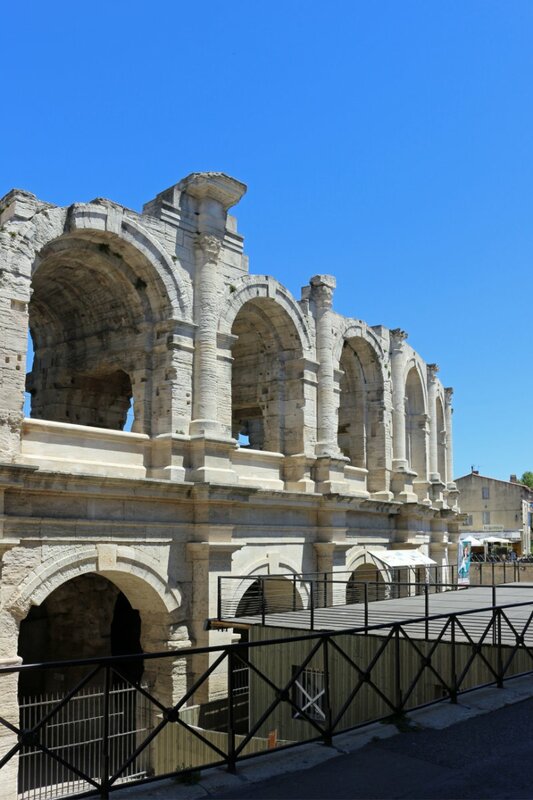 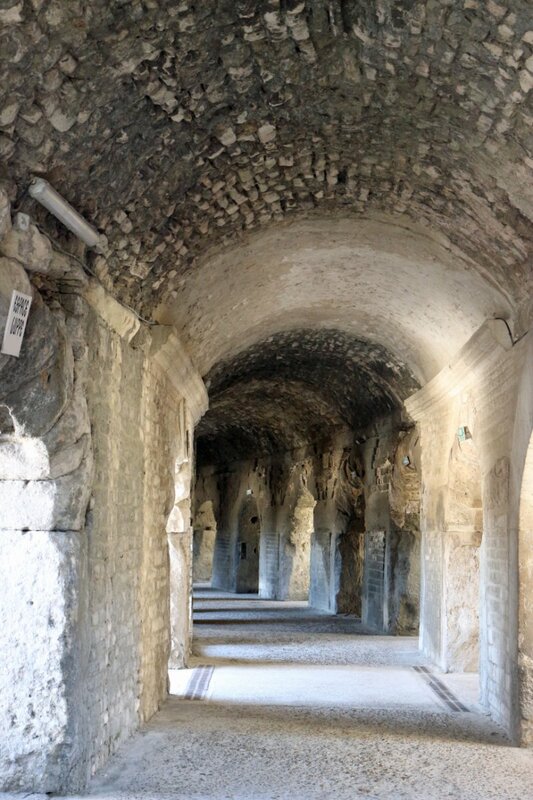 The Arles Amphitheatre is a Roman amphitheatre in the southern French town of Arles. 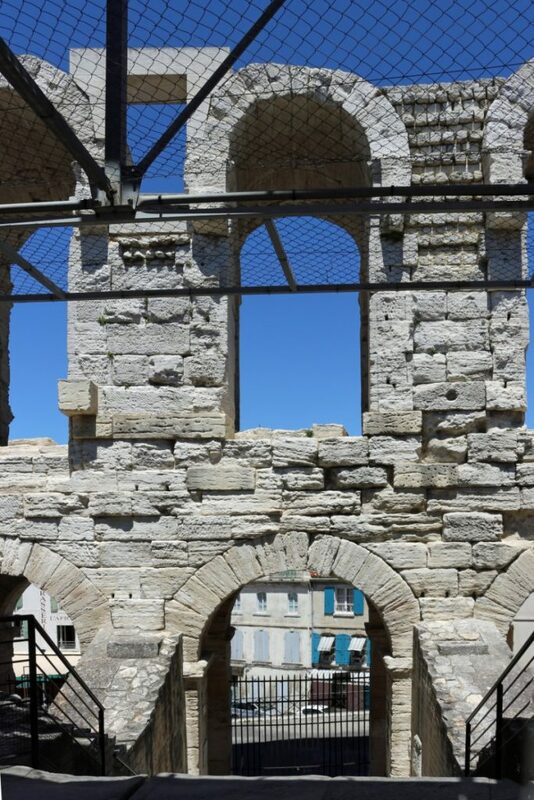 This two-tiered Roman amphitheatre thrived in Roman times. The pronounced towers jutting out from the top are medieval add-ons. 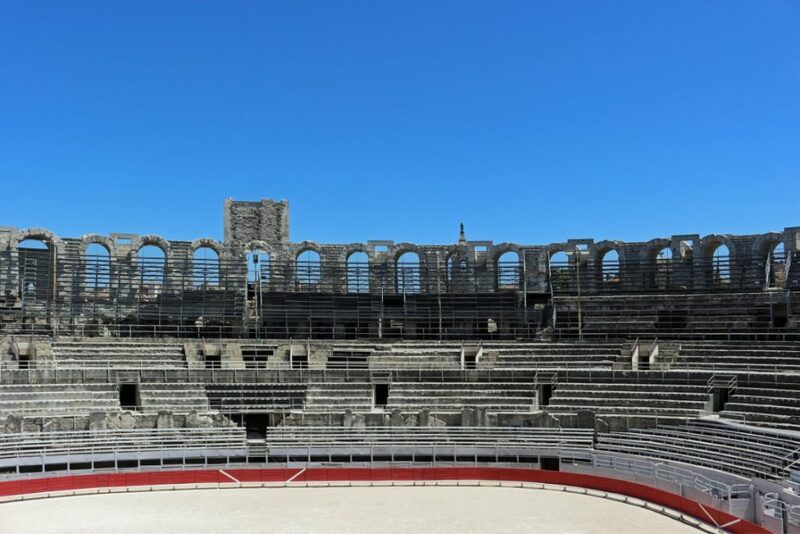 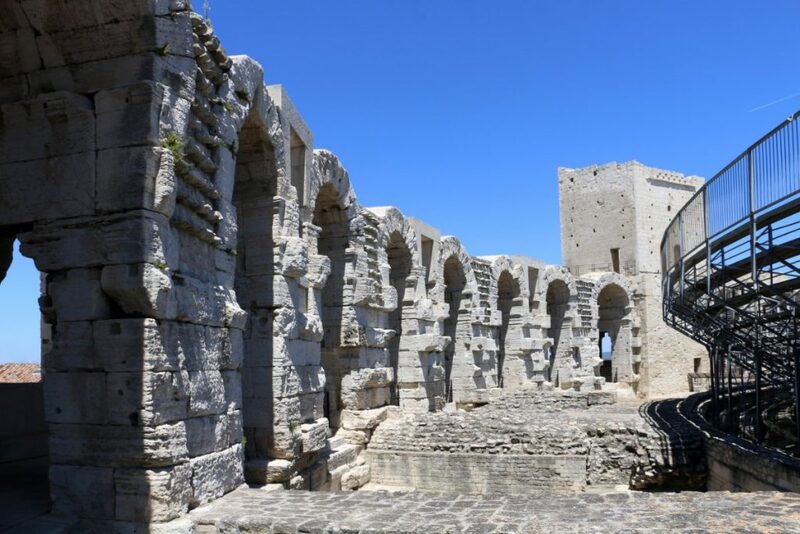 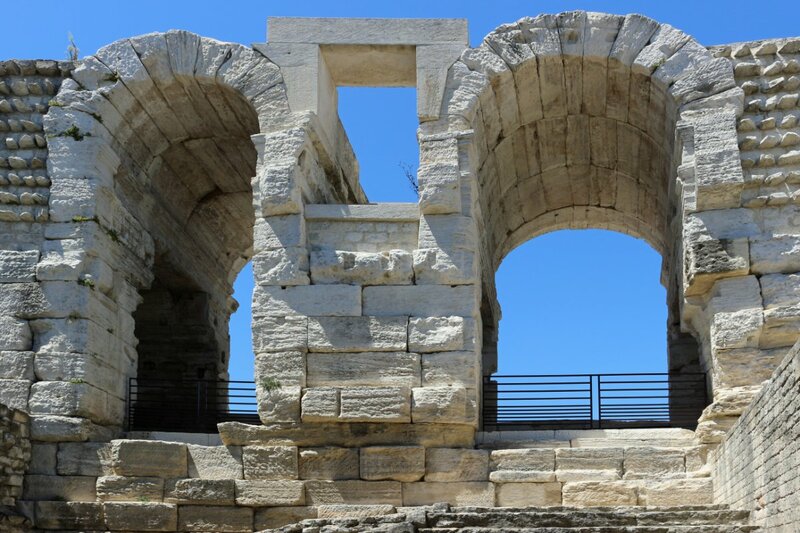 Built in 90 AD, the amphitheatre was capable of seating over 20,000 spectators, and was built to provide entertainment in the form of chariot races and bloody hand-to-hand battles. Today, it draws large crowds for bullfighting during the Feria d’Arles as well as plays and concerts in summer. 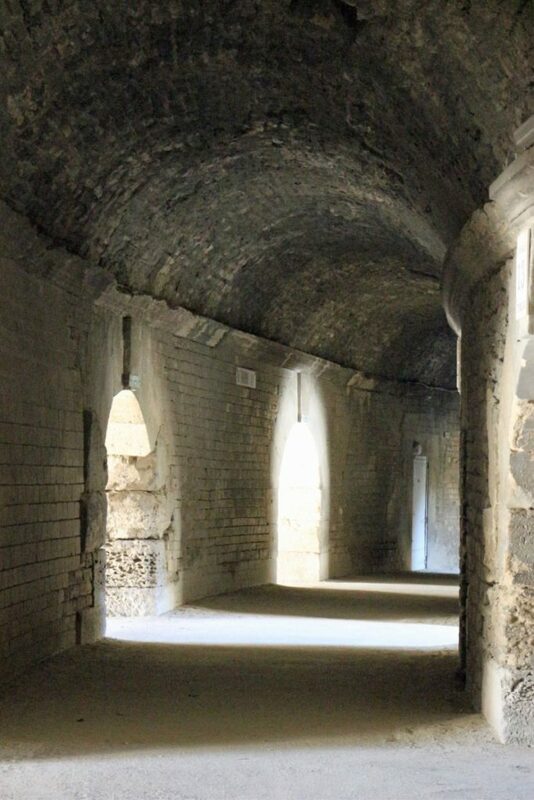 Visit June 2017. 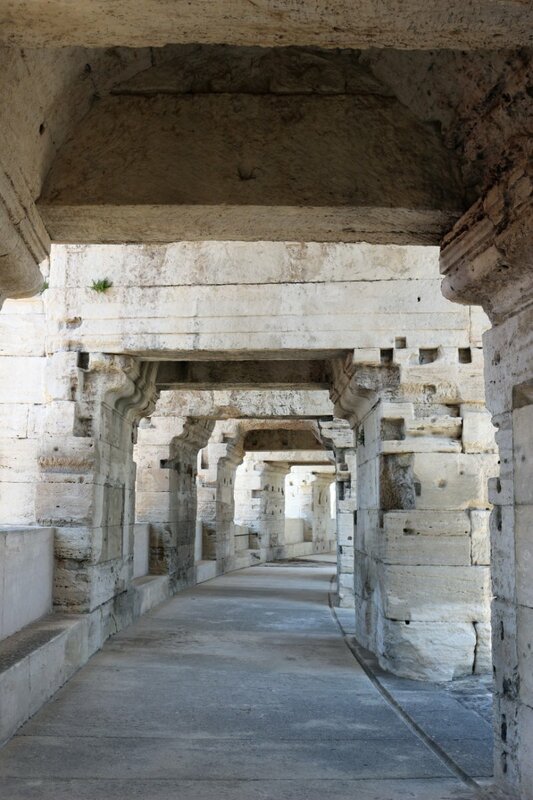 Bottom photo July 1975Praktika XL SLR, Agfa slide.